Lynchburg capped off a series sweep of the Salem Red Sox with an 11-4 win Tuesday morning at LewisGale Field at Salem Memorial Ballpark. Every member of the Hillcats recorded a hit in the game, totaling 15 hits in the contest. Luis Lugo took the mound for the Hillcats and turned in one of his best performances of the season. Lugo struck out three batters and allowed just one hit through the first two innings. In the top of the third, Lynchburg drew first blood with a double by Bradley Zimmer that scored Ivan Castillo. The hit wasZimmer’s third go-ahead RBI in his last three games. Salem responded in the home half of the third on a two-RBI double by Wendell Rijo to give Salem a 2-1 advantage. However, the lead was short-lived as Lynchburg cranked out five runs in the top of the fourth. Paul Hendrix led off the inning with a double and was immediately brought home by Mike Papi to tie the game at 2-all. Yhoxian Medina singled two batters later and Ivan Castillo ripped his seventh triple of the year into the right-center field gap that scored Papi and Medina to regain the lead, 4-2. With Medina standing at third, LeVon Washington singled up the middle for his fifth RBI of the year, extending the lead to three runs. Nellie Rodriguezcapped off the five-run inning with an RBI single that scored Washington to make it 6-2. The Hillcats tacked on three more runs in the top of the fifth that was highlighted by Eric Haase’s fifth home run of the year and his second of the series. Lynchburg tallied four hits in the inning as Zimmer added to his RBI total with a two-run single that scored Washington and Medina to give the Hillcats a 9-2 advantage. 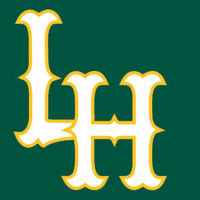 Lugo earned the win after allowing three runs, just two of which were earned, on seven hits, while walking three and striking out four over five innings. YOU GET A HIT, AND YOU GET A HIT! Every batter in the lineup for the Hillcats recorded at least one hit in the game and each contributed in some way to a run scored. Clint Frazier was the last Hillcat to record a base knock that came in the eighth inning. He was driven in on a two-RBI double by Paul Hendrix to put the Hillcats up 11-4. The double was Hendrix’s second of the game. Lynchburg is now 8-2 against Salem this season with all eight wins coming on the road at LewisGale Field. The Hillcats have outscored the Red Sox 63-24 on the road and have won by an average of nearly five runs per game over the course of eight contests. Ivan Castillo recorded his league-leading seventh triple of the year in the fourth inning…Lynchburg leads the Carolina League in every extra-base hit category this season…Mike Papi has tallied three game-tying RBIs in his last three games…Bradley Zimmer has recorded a go-ahead RBI in each of the last three games. Lynchburg will open a three-game series on the road with the Wilmington Blue Rocks at Frawley Stadium Wednesday night at 6:35 p.m. Fans can tune in to the action on ESPN Virginia 93.3 FM and 1320 AM as well as www.lynchburg-hillcats.com beginning at 6:10 a.m. for the Hillcats On-Deck Show.